Got a budding Beckham in the family? Finding the right soccer class to suit your child shouldn’t be a challenge. With so many options out there, you’ll find something to match – from focused skills tuition to fun classes for kids who are keen to try it out for the first time. Some kids have their eyes on the prize of playing for a team and going for gold. Then there are those kids who just want to have fun. Grasshopper Soccer bills itself as Australia’s #1 non-competitive soccer program. What that means for you and your children is that you get the experience of a business that been operating soccer programs for kids since 1990, with a focus on helping kids within the 2-12 age range learn and develop skills that will get them working together as a team – and staying active. 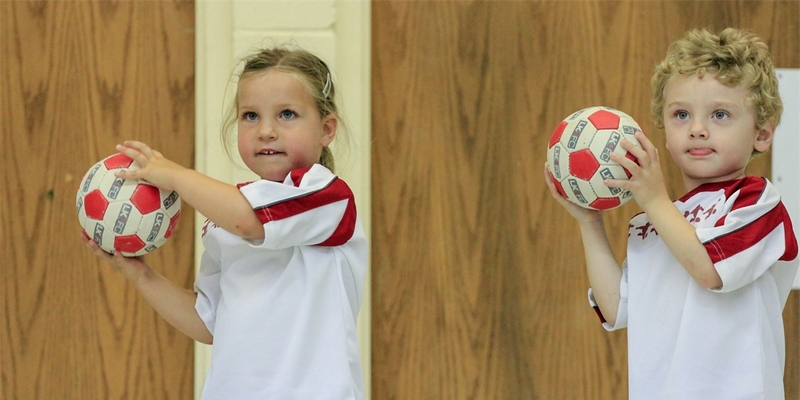 If you’re a parent who loves to be involved, it’s a stress-free connection with sporting skills to be gained – and helps prepare them for entry into the local club scene, if that’s where your child would like to play. Class times vary from 35 minutes to 75 minutes, depending on your child’s age. This is soccer fun for the littlies, with a focus on the 1-5 year old set. At this level, you can expect lots of gentle fun that is aimed at helping boost gross motor skills and cognitive learning – and offer parents a fantastic way to let your soccer stars in the making burn some athletic energy. Their passion if promoting physical play for healthy bodies but the program works on healthy minds as well, with soccer-related ball games that tie in links to literacy and numeracy identification. Classes are broken up into three different age ranges and fill an active 45 minutes each week. There is a try-before-you-buy opportunity for new members to come along for two weeks before committing to a term of classes. Locations are right across Melbourne, with classes in different suburbs, 7 days a week. $209 (includes GST) for an 11-week program of weekly classes. The target market here is 18 months to 7 years old and what’s on offer is weekly soccer classes delivered to four different age group levels. High quality skills are at the core of what they do but it’s done in a way that’s pressure-free, friendly and designed to spark a passion for the sporty activity that is the foundation for a happy, healthy childhood. The locations aren’t inner-suburban ones – Little Kickers has classes in the outskirts of Melbourne, and Geelong. It’s officially known as the Melbourne Football Academy but for AFL-made Victorians, let’s just call it soccer. This professional coaching organisation specialises in sharing top-quality skills to both boys and girls. It starts young (aged 4) and follows through all the way up the competition quality of 18-year olds who are hungry for a career in this international game. For those who are serious about wanting to bend it like Beckham, the classes on offer include private and semi-private, with specialist tuition in goal-keeping too. To dip a toe into the soccer world, the holiday programs are a fantastic entry point.